Open Heart Conversations: Zoroastrianism with Ferzin Patel, M.A. In this Open Heart Conversation, we will explore Zoroastrianism, the ancient Persian religion that may have originated as early as 4,000 years ago. It is arguably the oldest and first monotheistic faith and was the state religion of three Persian dynasties until the Muslim conquest of Persia in the seventh century. 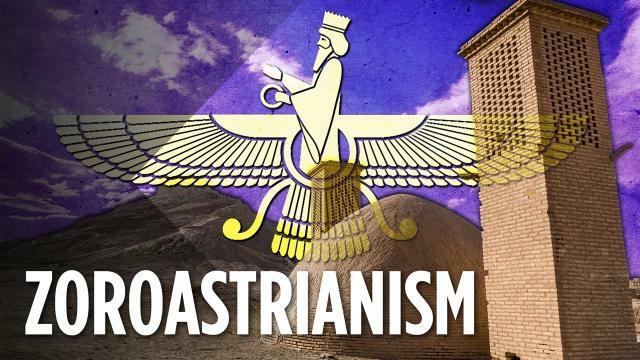 Famous Zoroastrians include Cyrus the Great, founder of the Achaemenid Persian Empire who ruled by the Zoroastrian law of asha (truth and righteousness), but didn’t impose Zoroastrianism on the people of Persia’s conquered territories. Many scholars claimed that tenets of Zoroastrianism helped to shape the major Abrahamic religions— Judaism, Christianity and Islam —through the influence of the Persian Empire. Zoroastrian concepts, such as a single god, heaven, hell, and a day of judgment may have been first introduced to the Jewish community of Babylonia, where people from the Kingdom of Judea had been living in captivity for decades. When Cyrus conquered Babylon in 539 B.C., he liberated the Babylonian Jews among whom many returned home to Jerusalem, where their descendants helped to create the Torah or Hebrew Bible. - Farrokh Bulsara, better known as British musician Freddie Mercury, lead singer for the rock band Queen, was of Parsi descent and a Zoroastrian. His 1991 funeral was performed by a Zoroastrian priest. - Zoroastrian god Ahura Mazda served as the namesake for Japanese automaker Mazda Motor Corporation. The company hoped that an association with the “God of Light” would “brighten the image” of their first vehicles. - George R.R. Martin, creator of the fantasy series A Song of Ice and Fire, which was later adapted into the HBO series Game of Thrones, developed the legend of Azor Ahai from Zoroastrianism. In it, a warrior demigod, Azor Ahai, defeats darkness with the help of the deity R’hllor, a fire god, which Martin may have modeled after Ahura Mazda. On Sunday March 31st, join Rev. Arda Itez and Rev. Dr. Jose Roman in unveiling and celebrating the rich history and culture of this ancient tradition with Ferzin Patel, M.A., a Zoroastrian community leader and Trustee of the Dar-E-Mehr Zoroastrian Temple. Ferzin Patel, M.A., is a psychotherapist in New York, and serves as a Zoroastrian community leader and Trustee of the Dar-E-Mehr Zoroastrian Temple, in Pomona, New York. Ferzin is an avid learner of comparative religions and began her quest to learn about different religious doctrine and beliefs while in college. Ferzin engages with other community leaders through the Interfaith Center of New York and serves as an and guide and educator for school age and college students from Harvard University, Ramapo College and Bard College, who come to the Dar E Mehr Zoroastrian center to learn about Zoroastrian religion, history and culture. She provides visitors of the community center with a looking glass of how Zoroastrians pray and conduct religious services and practices. Her passion is to educate others about Zoroastrianism. She has served on the Board of the Zoroastrian Association of Greater New York for six years, served as Co-Chair of the 2012 North American Zoroastrian Congress, and is a frequent speaker on Zoroastrian identity in the contemporary world. Ferzin currently facilitates a group for intermarried Zoroastrian families, and serves as a mentor for intermarried couples in her community. In 2006, she worked with colleagues to launch the still-thriving Zoroastrian Intermarried Group (ZIG), which helps couples and families acclimate to Zoroastrian cultural and religious beliefs and practices. In 2017, West Point Military Academy, Cadet Interfaith Center invited her to speak to cadets to familiarize them with the Zoroastrian religion and community in the event they deploy to the Middle East region.